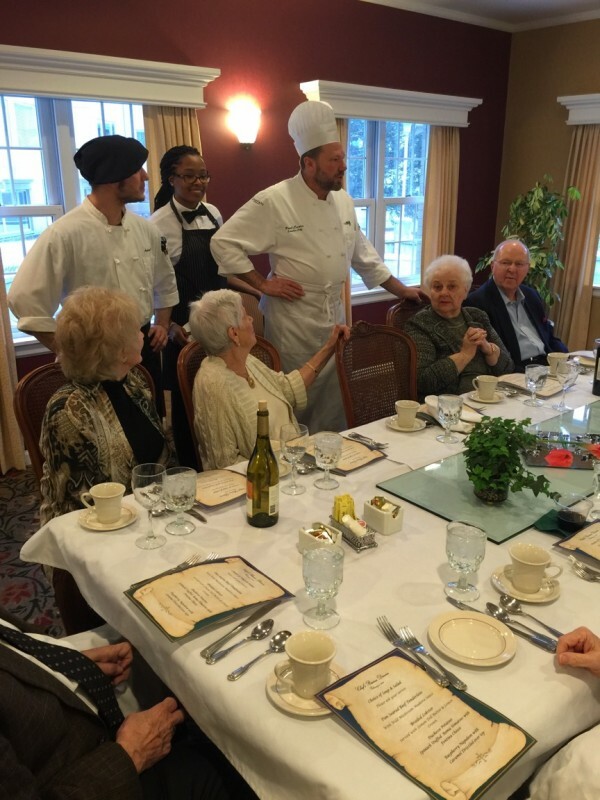 For our February Chef’s Reserve Dinner, Chef Paul prepared a special meal that gave the residents a familiar yet satisfying taste. 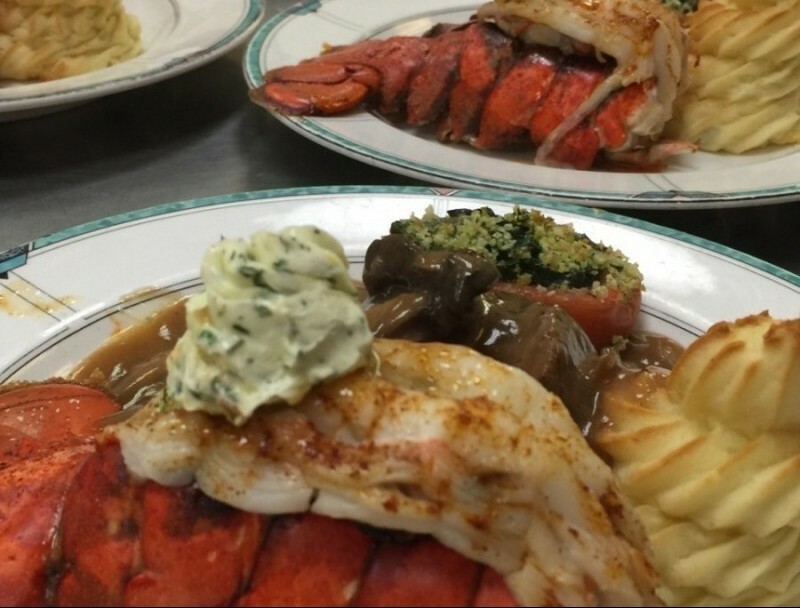 His famous Beef Tenderloin with Mushroom Madeira Sauce was the crowd-pleaser of the night, yet the Broiled Lobster with Lemon Herb Butter melted over top was a nice addition, giving the meal that ‘Surf & Turf’ experience people love! Duchesse Potatoes and Spinach stuffed Roma Tomatoes with Fontina Cheese complimented the meal. The highlight of the meal was the dessert however: Raspberry Napoleon with Caramel Sauce. 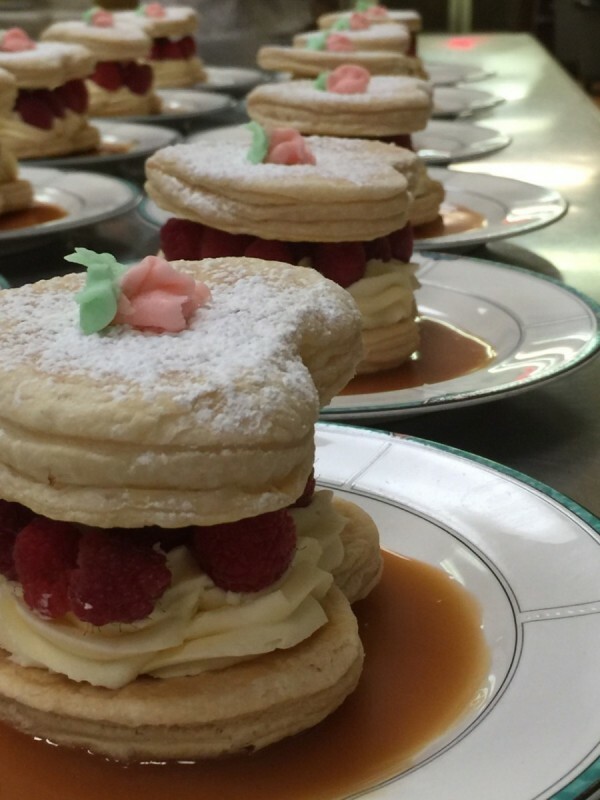 Two Puff Pastries shaped into hearts filled with fresh Raspberries and Bavarian Cream over a pool of Caramel, it was a dessert that melted in your mouth! Requests to have the dessert again were already being made immediately after dinner. Certainly a lovely meal that residents said they’d never forget!